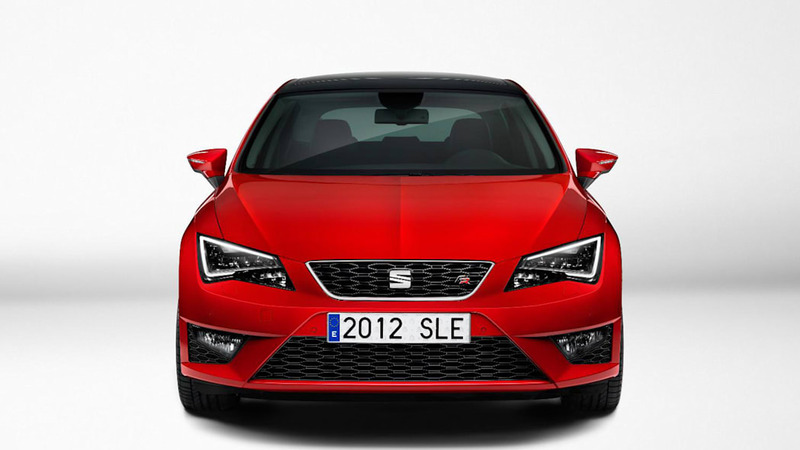 Not long after the Seat Toledo got its public groove on, the Seat León is here to say hello from all angles. This is the third generation of the little Spanish hatchback, and while its overall form copies its predecessor, its details prove it to be a brand-new car. Built on the MQB platform spreading like kudzu throughout the Volkswagen empire, the new Leon is nearly 200 pounds lighter than previously and five centimeters shorter, but the front axle has been moved forward making the wheelbase around 2.3-inches longer. More interior space and luggage room is the benefit compared to the last-generation hatch. The body has been completely redesigned with heaps more sculpting throughout and giveaways like the polygonal headlights – available in full LED – plus wedge taillights, shorter overhangs and redesigned Seat logo front and back giving away the new model. Emphasizing the sportiness of the new model, the driver is made the focus of the floating, two-tone dash inside. Driver aids include Seat Drive Profile to tailor the car's characteristics, three different options in infotainment systems, drowsiness detection, Full Beam Assistant and lane-keeping assistant. As per usual with a VW Group product, the engine options will be plentiful, all of them turbocharged and direct-injected and boosting fuel economy by up to 22 percent. Two will come at launch, a 1.6-liter TDI Ecomotive diesel with 104-horsepower and 184 pound-feet which promises 74.3 Imperial miles per gallon (61.9 U.S. mpg) on average, and a reworked 2.0-liter TDI with 148 hp and 236 lb-ft that gets 70.3 Imperial mpg (58.8 U.S. mpg). Early next year, five more engines will be added to the mix, ranging from an 85-hp 1.2-liter TSI to a 181-hp 2.0-liter TDI. There will be two manual and two DSG dual-clutch transmissions available, but fitment depends on the engine. It will hit showrooms later this year as a five-door hatch, then expand into other variants afterward. Read all about it in the press release below, catch it in red and white in the high-res gallery. Martorell, 16 July 2012. 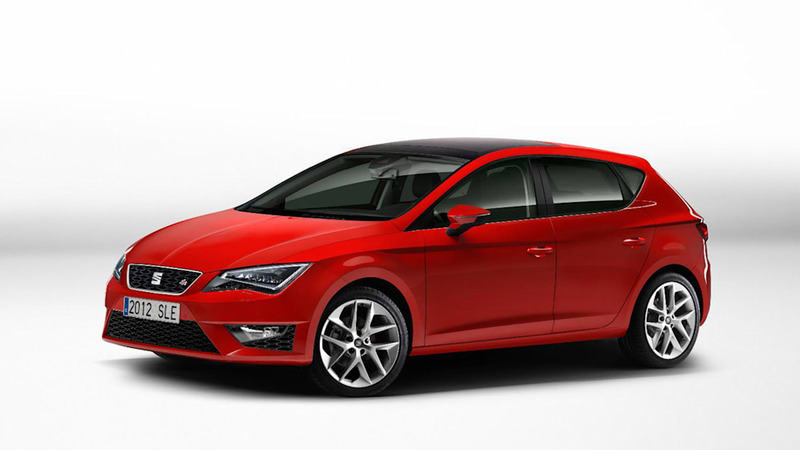 SEAT today introduces the stunning new Leon. 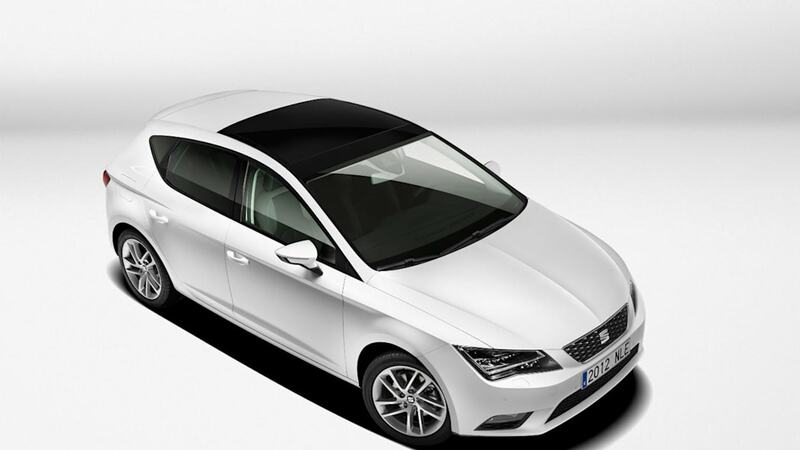 Seamlessly combining beauty and practicality, the all-new Leon is the epitome of desirability. Completely redesigned from the ground up, the third generation Leon is packed full of high-end technology, utilising a cutting edge chassis, advanced infotainment systems and sophisticated driving aids. Each of the engines combines powerful dynamics with outstanding efficiency. The availability of full-LED headlamps for the new, third generation Leon is a pioneering move by SEAT – a first in the family hatchback class. This technology combines striking design with exceptional illumination. 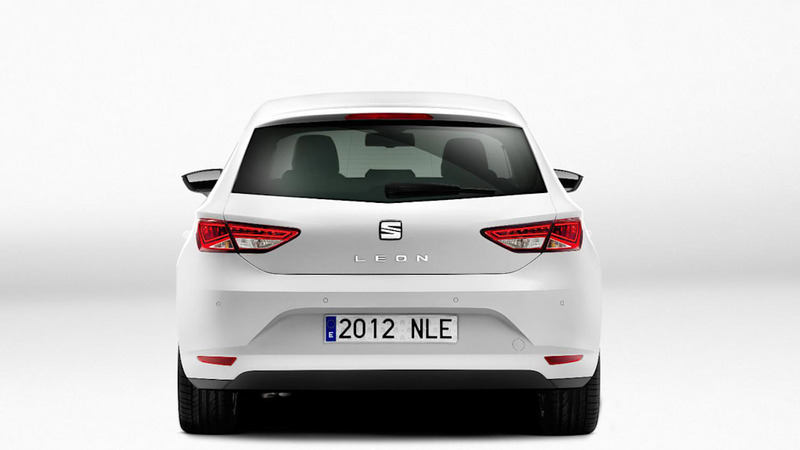 "The new Leon condenses all the strengths of the SEAT brand more than ever before. It is a car with sporting character and wide-ranging strengths. It brings quality and technologies from the full-size class into the compact segment. 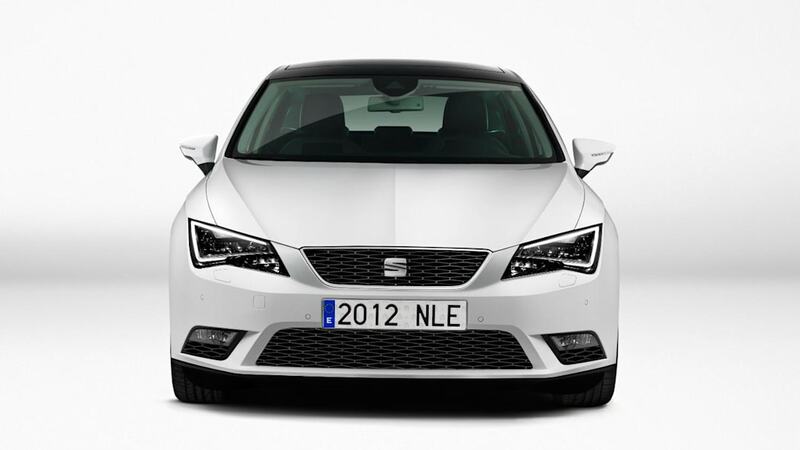 The Leon is a decisive step in SEAT's brand and growth strategy. It will be launched towards the end of this year as a five-door and will subsequently grow with further variants into a fully-fledged family," said James Muir, President of SEAT S.A.
"With the all-new Leon, we have designed and developed a car which perfectly captures the meaning of 'Enjoyneering'. This compelling mix of design, technology, athletic performance and premium quality is certain to seduce existing customers, as well as bringing a new generation of car-buyers to the brand," he added. The new Leon is compelling for its excellent practicality. It combines a more compact exterior with a more spacious interior. 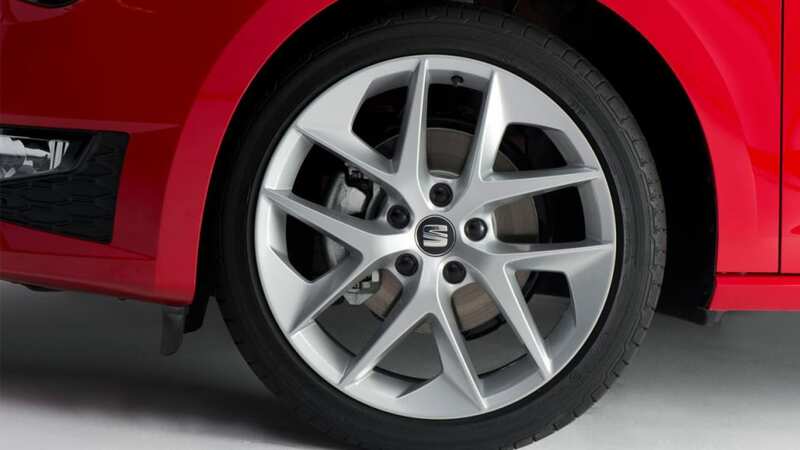 The premium materials and the level of craftsmanship place the Leon squarely at the forefront of the competitive field. Every power unit is among best-in-class for efficiency and emissions, with the highlight being the 1.6 TDI with start/stop. It has an average fuel consumption of just 74.3 mpg and a CO2 figure of just 99 g/km. 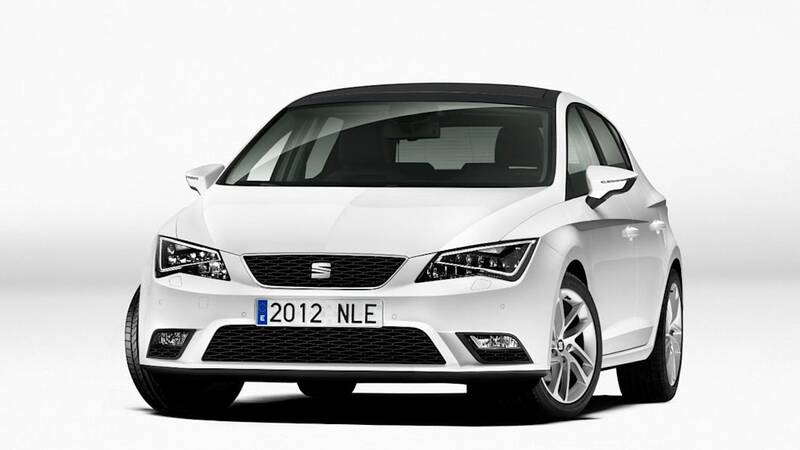 "The new Leon is an all-new car and opens a new chapter for SEAT. 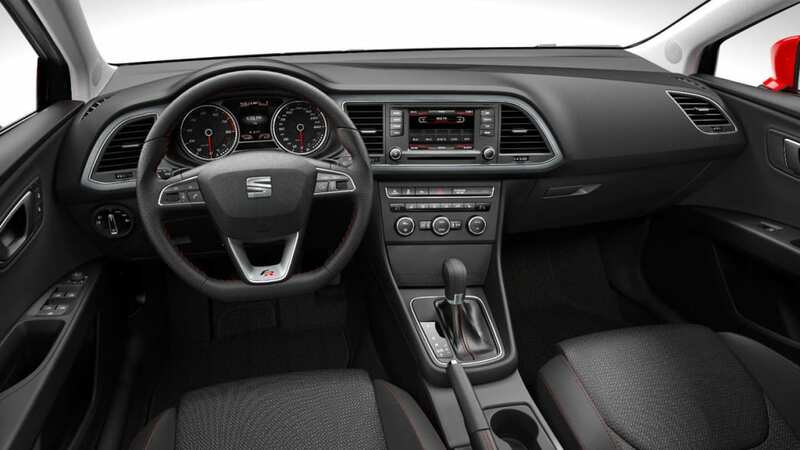 It combines SEAT's dynamic new design language with the latest technology. Fine details and precise design, especially in the interior, reflect the high standard of craftsmanship of the new Leon," explains Dr. Matthias Rabe, Vice-President of Research and Development for SEAT S.A.
Dr. Rabe added: "Built on the Volkswagen Group's MQB shared architecture which benefits from systematic lightweight design, the new Leon offers an impressive performance, with low CO2 emissions and fuel consumption. In summary, the new Leon provides emotional driving fun, excellent efficiency, a stunning design and a high degree of utility." 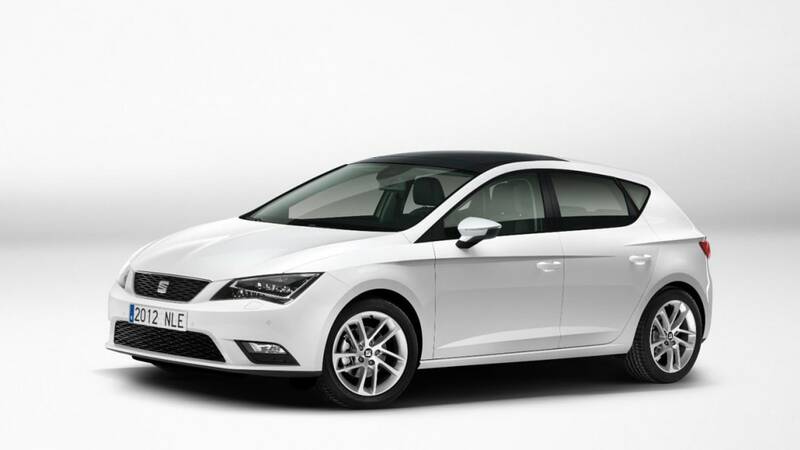 "Thanks to its dynamic and assured character, the new SEAT Leon inspires a self-confident stance. It has a decisive look," says Alejandro Mesonero-Romanos, Head of SEAT Design. "It keeps a high degree of formal beauty and sportiness." He adds: "It has extremely well proportioned volumes, with a slight shift of the visual weight of the cabin over the rear wheels, while keeping a very fluid transition between the front wing and the cabin. The surfaces have been severely sculpted all around in order to increase its tri-dimensional appeal, thanks to the effects of light and shadow. Its character lines show pure assertiveness, like for instance the outer shape of the headlamps and tail lamps. All in all, I strongly believe that the new Leon is full of character." 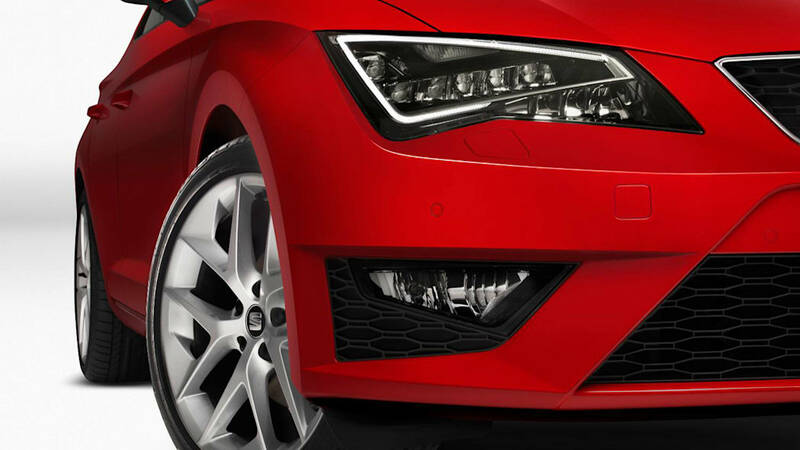 The angular line of the headlamps is a typical feature of the new SEAT design language, while also being perfectly integrated into the Leon's sculptural form. Full-LED lights are available for the first time in the compact class. 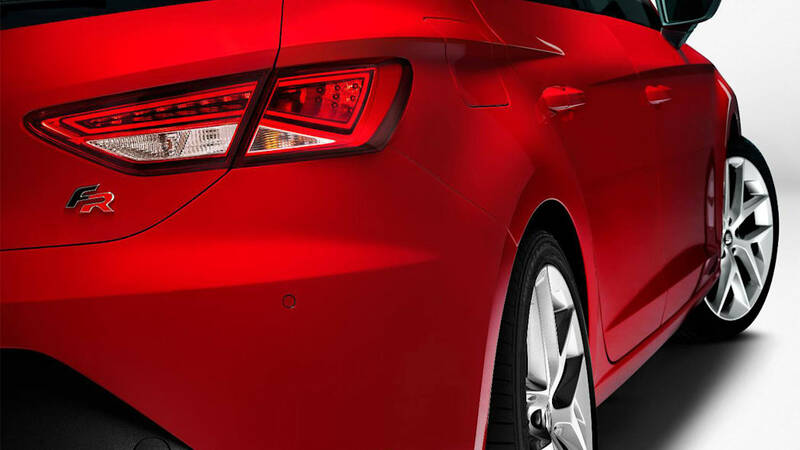 The new headlamps give an unmistakable look to the front end of the Leon. Additionally, the new Leon now has a distinctive signature appearance thanks to the fitment of LED daytime running lights. 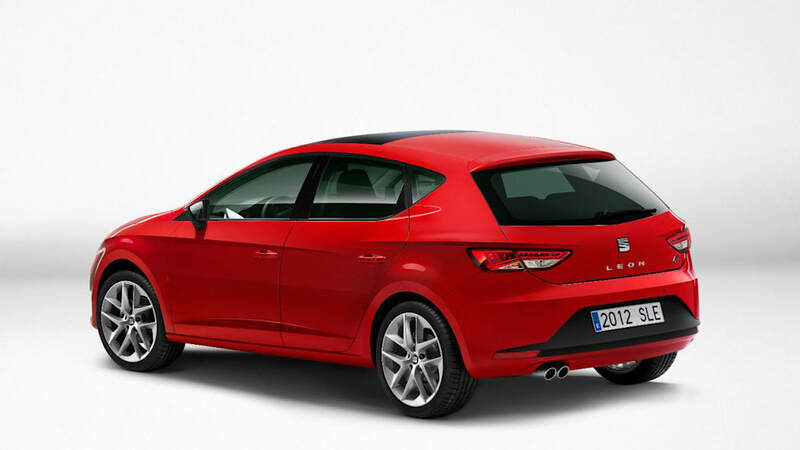 From the side, the new SEAT Leon looks like a precisely executed sculpture on wheels. The characteristic, unbroken 'Línea Dinámica' runs rearwards over the wheel arches. It is reminiscent of the tension of a well-trained muscle. The trapezoidal C-pillars are characteristic to the Leon, as are the short, upwards-pointing third windows. 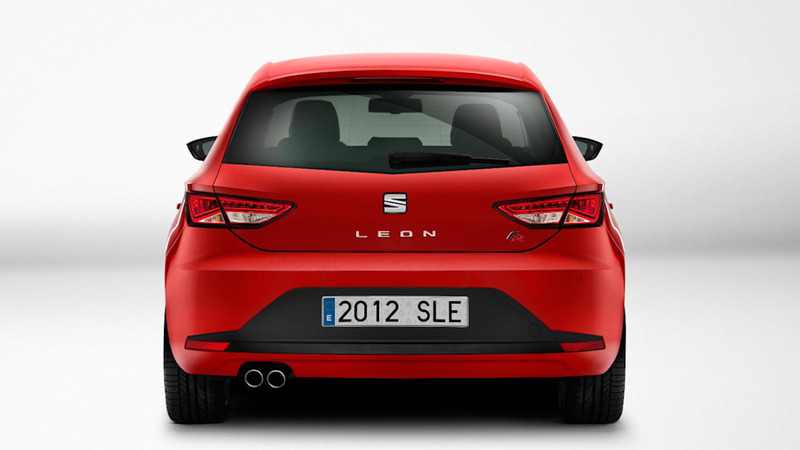 The rear end of the new SEAT Leon has been intensively modelled; the large logo serves as an opener for the rear hatch. The slightly wedge-shaped rear light clusters highlight the car's width and are also available in LED technology. The elegant exterior design of the new Leon continues into the interior, which has a clear, light and uncluttered look. The dashboard is unconventional and elegant, with a two-tone design that makes it appear to float in mid-air. Fine details underscore the Leon's high standard of craftsmanship – details such as the large air vents, the controls for the air conditioning and the three-dimensional form of the trim elements. The luggage compartment has a volume of 380 litres, around 40 litres more than the preceding model. Describing the interior, Alejandro Mesonero-Romanos, Head of SEAT Design, said: "We set ourselves the objective of developing an interior which would give an expressive, elegant and welcoming ambience. The quality of the material, the fit and finish and the attention to details is at least as good as you can find in the segment above." "The design of the dashboard respects our new interior philosophy, with a strong driver orientation. This enhances the ergonomics while giving the design an attractive, sporty feeling. The whole has been designed so the new Leon and its driver feel as one." Thanks to advanced construction techniques and the use of lightweight materials in the body's manufacture, the overall weight has been reduced by 90 kilograms compared with the previous version. The new SEAT Drive Profile for the Leon FR allows the driver to vary the characteristics of the power steering, throttle control and engine sound (FR versions only) via a sound actuator using three modes: eco, comfort and sport. There is also a facility to tailor the settings according to the driver's preference. The interior ambient LED lighting changes according to the selected setting: white in eco and comfort modes, and red in sport. The new Leon sets benchmarks when it comes to the available driver assistance systems. 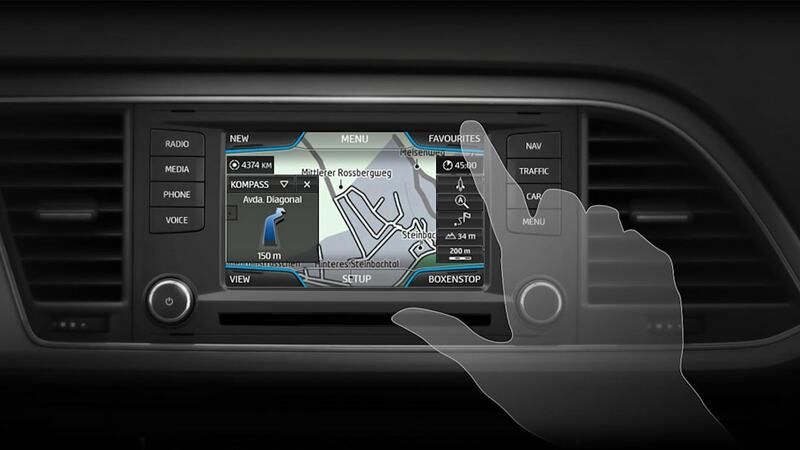 The drowsiness detection feature recognizes when the driver is losing concentration and suggests taking a break. Additionally, an advanced camera mounted behind the rear-view mirror manages both the Full Beam Assistant, which switches automatically between full and dipped beam, and the 'Heading Control' lane-keeping assistant, which makes slight corrections to the electro-mechanical power steering to prevent the driver from crossing over lane markings. Another all-new element of the Leon is the logo on its grille, rear and steering wheel. The Leon will be the first car to wear the company's newly refreshed badge. Sporting a cleaner, purer design, the new SEAT logo represents the precision and elegance of the brand's design language, while also reflecting the company's engineering and quality leadership. The introduction of the new SEAT logo across all of the company's visual material and locations will begin from Paris Motor Show in September. The Martorell site also features a Technical Center, a 'knowledge hub', bringing together more than 900 engineers whose goal is to be the driving force behind innovation for the number one industrial investor in R&D in Spain. In line with its declared commitment to environmental protection, SEAT undertakes and bases its core activity on sustainability, namely reduction of CO2 emissions, energy efficiency, as well as recycling and re-use of resources.